Trying to cash a check when you don’t have a bank account is a huge pain. These days, the majority of financial transactions take place online. Even exchanging money between family and friends is now done through online apps like Venmo, PayPal, or Zelle. Most of these require a linked bank account. That means if you’re one of the 7% of people in the United States without a bank account, then managing your money, especially cashing checks, is a bit trickier. When you have a bank account, cashing a check is super easy. You can drop by the bank or use an ATM. With some banks, you can even use their app to take a quick picture of the check and deposit it from your phone. Without your own bank account, you can’t just walk into a local branch to deposit a check. Even if they do cash your check, you’ll have to pay a small fee every time. If you don’t have a bank account, but you still need quick access to your cash, then head to one of the check cashing places on this list. How can I cash a check at an ATM? Can I cash a check without an ID? How can I cash a check online? Even though it can be tough to cash a check when you don’t have a bank account, it’s not impossible. There are several companies that will let you cash a check, but you’ll probably have to pay a small fee for the service. The good news is that you can walk out with cash in your pocket today. Every check cashing place will have different rules and requirements for getting your check cashed. Some places will cash certain types of checks that others won’t, so be sure to call ahead before making a special trip. See Also: What is a Checking Account, and When Should You Use One? If you’re trying to cash a check without a bank account, the easiest place to start is with the bank on the check you’re trying to cash. To find this information, simply look above the memo line in the bottom left corner. Call a local branch to find out their check cashing policy. They can easily verify the availability of funds by checking the account balance of the one who wrote you the check. Some banks will even give the account owner a phone call on the spot as a security measure to ensure there is no fraud taking place. The bank listed on the check used to be the cheapest option to get your cash. Now, most of the big banks have started implementing fees to get your check cashed if you do not have an account with them. Most charge a flat rate or a percentage of the check amount up to a certain maximum. Every bank will have different terms and requirements for cashing checks that are tied to their institution. The most foolproof option is to call ahead and ask about their policy and fees. You’ll need 1-2 forms of valid ID to confirm the check is yours, so make sure to bring a driver’s license, passport, or another government-issued ID card. Walmart is one of the most global and accessible check cashing places on this list. With over 5,000 locations, close to 90% of the population in the United States lives within 15 miles of a Walmart. Walmart also has reasonable fees at $4 for a check under $1,000 and $8 for anything over that limit. This is right in line with the fees most of the major banks charge. The biggest advantage of cashing your check at Walmart is that they have a number of options. For instance, you can get straight cash back or a reloadable Walmart Moneycard. Walmart recently started cashing personal checks, but there is a $6 fee and a check limit of $200. If you’re looking to cash a personal check, you may want to look at other options. They have strict check limits. For most of the year, you can cash a check as long as it’s under $5,000. During tax season (Jan-April), this limit is raised to $7,500. You’ll need to bring the check and a valid ID with you to the store. A number of businesses operate solely for this purpose. If you don’t have access to a local bank, then Ace Check Cashing may be your only option. Be careful though because these stores generally charge the highest fees of all the options on this list. Most check cashing stores have varying fees even among their own branches, so be sure to call and ask beforehand. Before you cash your check at a store like this, make sure to ask if they require a credit check. Some stores will run a credit report before cashing the check because they are effectively giving you a short term loan until they are reimbursed with the funds from the issuing bank. Ace Check Express is one of the most popular options, with physical locations in 24 states. They will cash almost any kind of check as long as you have a valid form of identification. The big advantage Ace Cash Express has over Walmart and other stores is that they will cash a personal check for you. They do not have fees listed on their website, so you’ll have to call a local store to get information on how much they will charge to cash your check. Gas stations used to be a much better option for cashing checks, but many places have stopped offering this service because of the high risk of fraud. Once the check is cashed, there is almost nothing the gas station can do to track down the person responsible. However, 7-Eleven still cashes checks. Many locations have a Vcom kiosk. This is basically a touch-screen station where you can cash checks, pay bills, and handle other financial tasks. The easier option is to download the Transact by 7-Eleven app. You can deposit checks with your phone. The cash gets added onto your reloadable 7-Eleven prepaid card, which functions just like a Debit MasterCard. Most online and retail stores will accept them. The funds take about 48 hours to be loaded onto your card. You can even use it to set up direct deposit from your employer and government benefit checks. With gas stations and travel centers, not every location will be able to cash a check, so call ahead to find one that does. 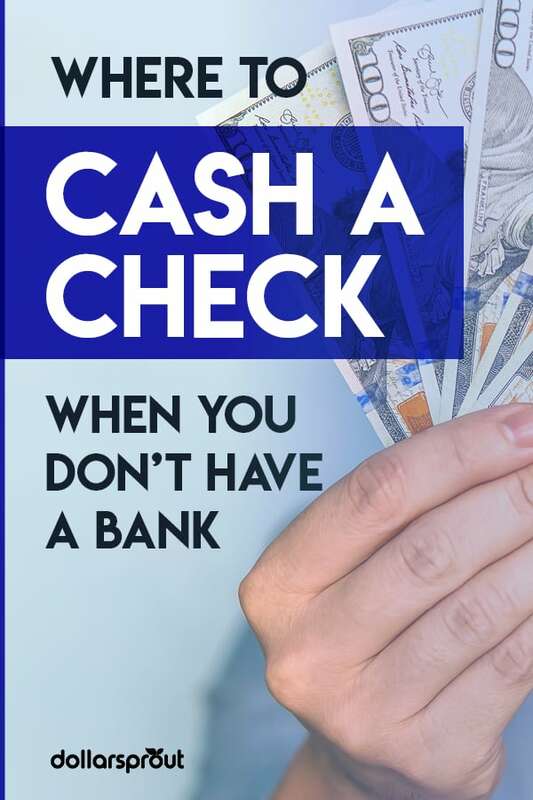 In some cases, your employer can actually cash your check for you. There are specific rules and regulations on check cashing, so most employers avoid offering this service. However, some do. 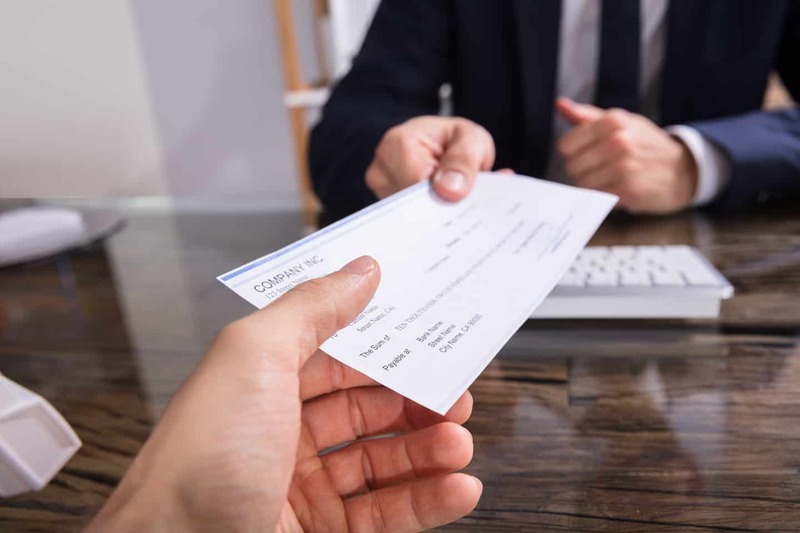 There is no daily limit to the dollar amount on the checks that an employer can cash as long as they are payroll checks. Grocery stores are one of the most dependable and convenient options for cashing a check. You probably already go to the store a couple of times a week, which means you don’t have to go out of your way if you have a store that offers this service. Fees and check limits will vary from store to store, but all will require a form of government ID. Most won’t let you cash personal checks because of fraud risk, but if you’re trying to cash a government check, payroll check, cashier’s check, or money order, then your odds are good. If you don’t have a bank account of your own, then you could endorse the check to a friend or family member who does. They can then cash the check for free and give the funds to you. This obviously requires a deep level of trust and, in some cases, you both have to be present at the bank so they can prove that you are not being pressured or forced to do this. You’ll likely be asked to fill out a form to certify your endorsement. 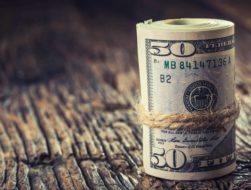 Depending on how often you need to cash a check, it may be much easier for you to open a checking account of your own and avoid this workaround. The last thing you want is for money to get in the way of your relationships with friends and family. Even with a bank account, you technically can’t cash a check at an ATM. You could deposit a check and immediately follow it up by withdrawing cash from your account. 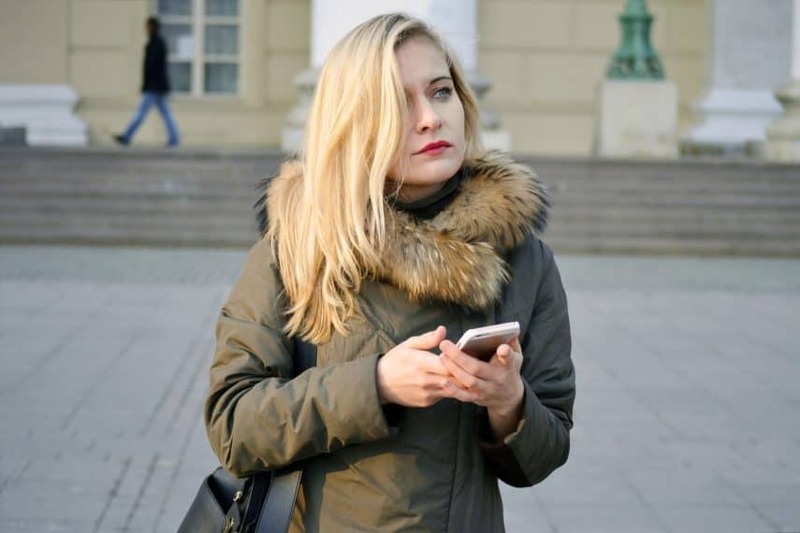 However, if you have nothing in your account prior to depositing the check, you will not be able to withdraw the funds for 24 to 48 business hours. Without an account, though, there is no way to do this. With the exception of endorsing your check to a friend or family member, all of the check cashing places above will require at least one form of ID, sometimes two. If your ID is expired, then technically it is not valid and won’t count as a form of identification. If you don’t have a bank account but have internet access or a smartphone, there are a few options. The two most popular apps that don’t require a bank account to be linked are PayPal and Ingo Money. You can use Ingo money to deposit almost every kind of check, including handwritten personal checks. You simply endorse the check by signing it and take a picture of the front and back. Once the check is approved, the funds will be sent wherever you designate them. However, the fees for Ingo can add up quickly. Government and payroll checks are $5 each. If the amount is over $250 you’ll pay a 2% fee. This means for a $1,000 check, you’ll pay $20. For all other checks, you’ll pay a 5% fee. With PayPal, the fees are only slightly better. You’ll pay 1% for government and payroll checks and 5% for all others. You can transfer the funds to a prepaid debit card and then withdraw the cash at most ATMs. With both online apps, you can avoid paying these fees if you are willing to wait a full 10 days to access the funds. When you don’t have a bank account, you’ll always be stuck paying fees to get your checks cashed. If you’re tired of paying fees, driving around town, and calling places to ask about their policies, you might consider opening a bank account. The best online savings accounts allow you to earn the highest interest rates on your savings and get your checks cashed fee-free every time. Hey, I’m Richmond!I work full-time as a youth pastor and am currently pursuing a Masters in Theology at Dallas Theological Seminary. My wife and I are doing everything we can to plan for our financial future and I’m passionate about helping others do the same! I specialize in budgeting, investing for beginners, and helping married couples get on the same team with their finances.I currently live in Houston, TX with my wife and pup! In my spare time, I love drinking good beer, powerlifting, and nerding out about all things money on my blog, PFGeeks.com. Nice blog man. I’m a PK myself and the founder of Ingo. Pretty much all mobile check cashing solutions, including PayPal, run on Ingo’s solution. You’ll also find us inside all apps from NetSpend, Amex Serve and Bluebird, H&R Block, ADP, RushCard and many many others. Thanks for the coverage.